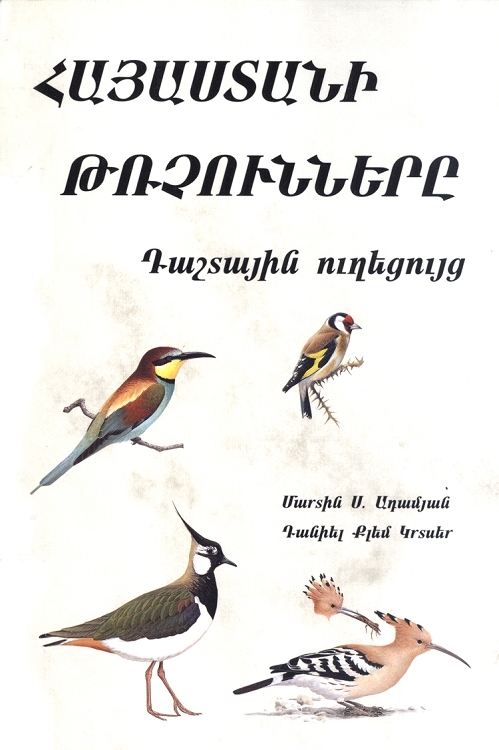 Հայաստանի Թռչունները is the most accurate, comprehensive and technically sophisticated publication on the birds of Armenia and the Caucasus. It is the culmination of four years of intensive field and scholarly research. Armenia--a country the size of Belgium or the state of Maryland--has an extraordinary 346 species of birds. For comparison, the whole of Europe has 550 species. Contents include (1) simple and functional text descriptions of the 346 species; (2) a total of 61 plates prepared by 12 of the world's most distinguished bird artists, illustrating each species with unrivaled accuracy in color, scale and composition; (3) descriptive maps accurately documenting the location of each of the species. Over 50 years have passed since the last major work on Armenian birds in 1954. This guide not only brings our knowledge up to date, but also makes these birds accessible to the world like never before, by presenting unique information to stimulate additional study in a region revealed to be a major avian integration zone. This work was conducted to promote responsible environmental management and to ensure environmental health and the conservation of Armenian natural resources through the appreciate, enjoyment and study of birds. Martin S. Adamian and Daniel Klem, Jr.